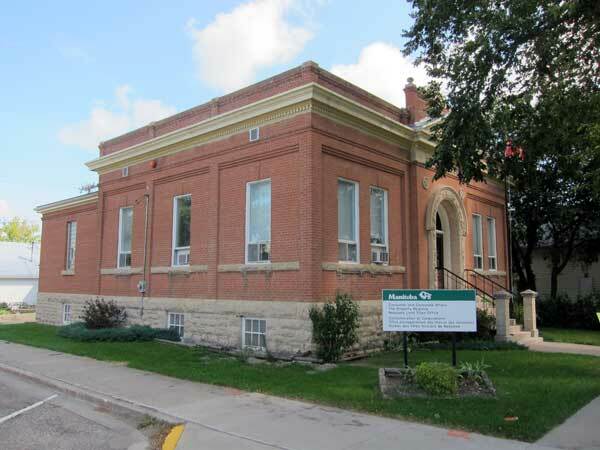 This one-storey red brick and limestone building in Neepawa was designed by provincial architect Samuel Hooper and built in 1906 at a cost of $20,000. 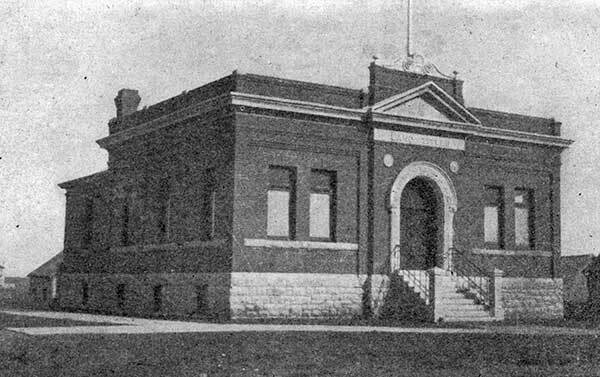 As of 2014, much of the building remains remarkably intact, including pressed-tin ceilings, millwork, exterior and interior doors, and vaults containing the original cabinetry for the storage of legal documents. Recent work has been done to supplement insulation of the basement’s exterior walls, and plans exist for the replacement of exterior windows with more energy-efficient ones. We thank Allan Drysdale for providing additional information used here.